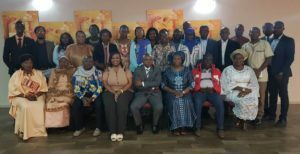 IHRDA is organizing a three-day training and case-identification workshop on child rights litigation in Africa with 20 child rights defenders from West and Central Africa, in collaboration with Plan International West Africa Regional Office. The workshop runs from 13-15 February 2018 in Dakar, Senegal. Topics covered include: the normative content of the African Charter on Rights and Welfare of the Child; the communications procedure of the African Committee of Experts on the Rights and Welfare of the Child (ACERWC); procedures for State reporting and complementary reports to the ACERWC; observer status before the ACERWC; challenges to children’s rights in Central and West Africa; other regional and sub-regional mechanisms protecting child rights; and strategic litigation on child rights in Africa. 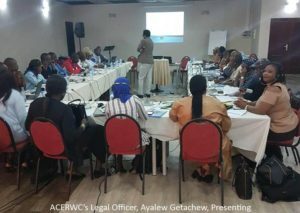 Participants will equally argue a hypothetical moot case during the training, to enable them to demonstrate the knowledge and skills acquired during the workshop, after which potential cases of child rights violations will be collectively identified for eventual litigation before the relevant judicial mechanism(s), notably the ACERWC and the ECOWAS Court of Justice. The workshop comes in a context where there is persistent prevalence of child rights violations on the continent, whereas child rights defenders are not making sufficient use of available mechanisms in Africa to engage legal advocacy in favour of children. This activity is part of the Pan-African State Accountability Programme (PASAP), coordinated by Plan International.